What do people in Asia eat when they get the munchies? If you’ve ever step foot inside a Chinatown supermarket, you’ll know that the grocery aisles abound with sweet and salty snacks. Here are the top ten Asian treats I simply can’t live without. #10 White Rabbit Candy – These milky little candies are the white analog to the Tootsie Roll. They melt in your mouth and are just as addictive. #9 Chinese-style Beef Jerky – Sweet with a hint of spice, Chinese jerky is soft and easy on the molars. It gets the job done when those 4 o’clock hunger pangs come calling. A few weekends ago, after grabbing dim sum with friends in the neighborhood, I stopped by Hong Kong Supermarket on Hester and Elizabeth Streets on my way home. My friends decided to tag along and were immediately spellbound by the crowded supermarket aisles abuzz with weekend shoppers. 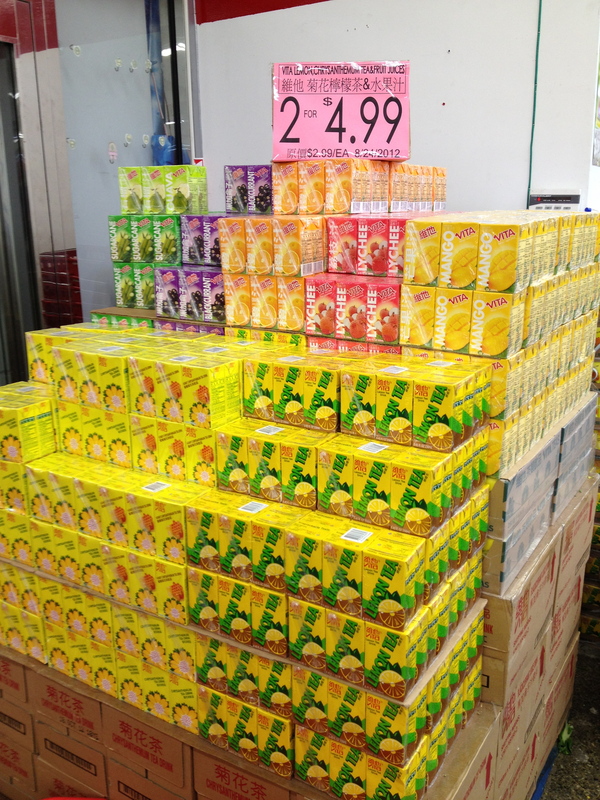 Apparently, HK Supermarket is one of the best kept secrets in Chinatown. The store, which sells everything from rice noodles and frozen dumplings to Darlie toothpaste and mahjong sets, belongs to a chain of supermarkets based in Southern California (holla!) that imports goods from mainland China, Hong Kong, Taiwan, and Southeast Asia. If you’re searching for an “Asian specialty food,” chances are HK will have it. A jaunt through Little Italy on a brisk winter Saturday, down Mulberry Street and past all the suave Italian restaurant-hawkers, is nothing out of the ordinary for this Chinatown sweetheart. Many a time have I sailed down the street, navigating between tourists, rarely stopping to hear a wistful “Ciao, bella!” shouted at my heels. Last weekend, though, was different. A friend and I decided to make a purposeful excursion through Chinatown and Little Italy on one of Ahoy New York’s food tours. Walking tours are always a great way to get to know the city and this particular tour helped me to see my everyday surroundings in a new light. Sure, I know all about Chinatown, but I never realized how little I knew about our Italian sister just down the block. We started the tour in the heart of Chinatown outside the New Kam Man grocery store and then made our way down Mulberry. Although this single street is all that remains of the once overcrowded Italian American neighborhood, there is still a thriving community of families who have lived in the neighborhood for generations. You may be familiar with dim sum, China’s answer to the weekend brunch, but when it comes to the weekday morning or a quiet Sunday spent at home, what’s for breakfast? The classic Chinese breakfast consists of three things: a bowl of rice porridge, a fried cruller, and a tall glass of soy milk.